Above: Members of OneYouth OneHeart. Photo credit: Nora Bouhaddada. Over half of the world’s refugees are under the age of 18. Millions of these displaced youth carry with them the burden of a disrupted childhood. As difficult as it is for an adult to adjust to a new life far from home, it is even more so for this most vulnerable population. For those who end up in refugee camps, support services offered by aid organizations beyond the basic needs of food and shelter are meager at best. This tragic shortchanging of refugee youth—most critically the failure of the aid community to address their educational and mental health requirements — is having far-reaching global consequences, especially as the refugee population continues to grow. 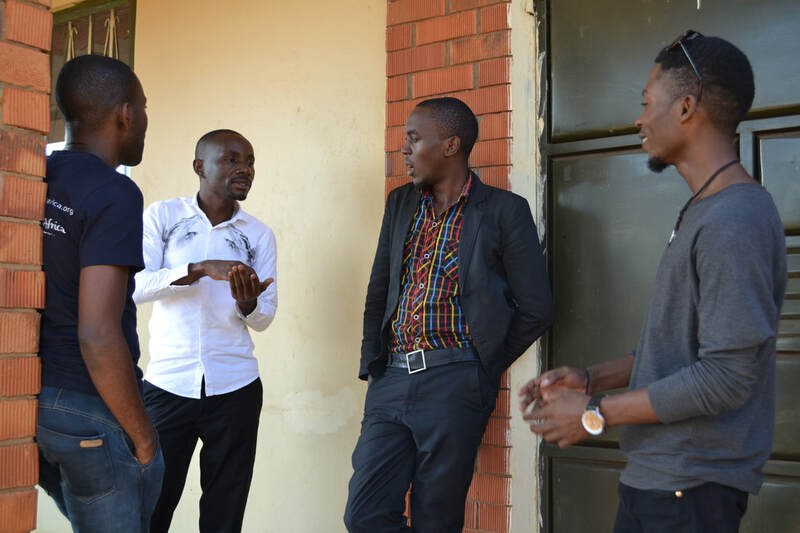 As I was making plans to visit Uganda, I was intent on finding out more about the country’s enlightened migration policies—and in particular how it was affecting refugee youth. Through earlier investigations, I had discovered the work of journalist Flavie Halais, who had initiated the #RefugeeEconomies project in the spring of 2016. Flavie's brilliantly documented stories of the lives of refugees in East Africa highlighted how they were not only surviving, but, in many cases, thriving. The stories showcased the rich and positive contributions refugees were making to their host nations. Her exceptional knowledge of the refugee network, especially at the grassroots level, gave me confidence that she would point me in the right direction. During our discussion, Flavie singled out the work of OneYouth OneHeart, expressing admiration for the organization’s unique work with the youth in Kampala: “They’re one of a kind,” she asserted. This community-led (and, more specifically, youth-led) initiative is unique, focusing exclusively on supporting and empowering youth. As its name suggests, its mission is to bridge the gap between refugee and host youth, with the goal of creating a space where youth can dream freely, inspire, and create change. 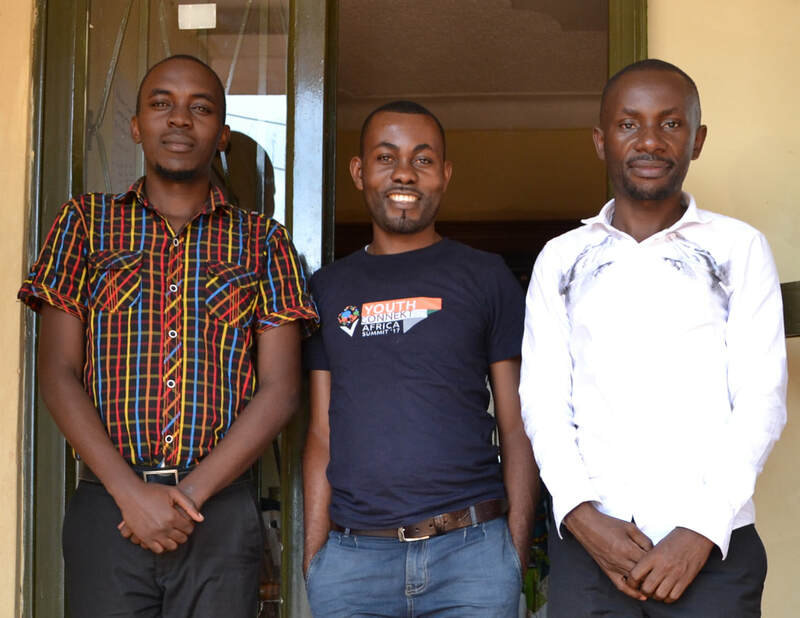 The founders of OneYouth OneHeart are natives of The Democratic Republic of the Congo, Uganda and Sudan: Destin Ndebo-Rugereza and Jerry Lukendo Mbokani Mparha are from South Kivu, DRC; Lennon Musaasizi and Liz Mirembe Mukasa are from Kampala, Uganda; and Isaac Ali is from Sudan. Three of the five founders of OneYouth One Heart: Lennon, Jerry, and Destin. Photo credit: Nora Bouhaddada. It was at a United Nations High Commissioner for Refugees (UNHCR) Innovation-sponsored workshop that the founders connected with Keiko Odashiro, who was to become their mentor and advisor. 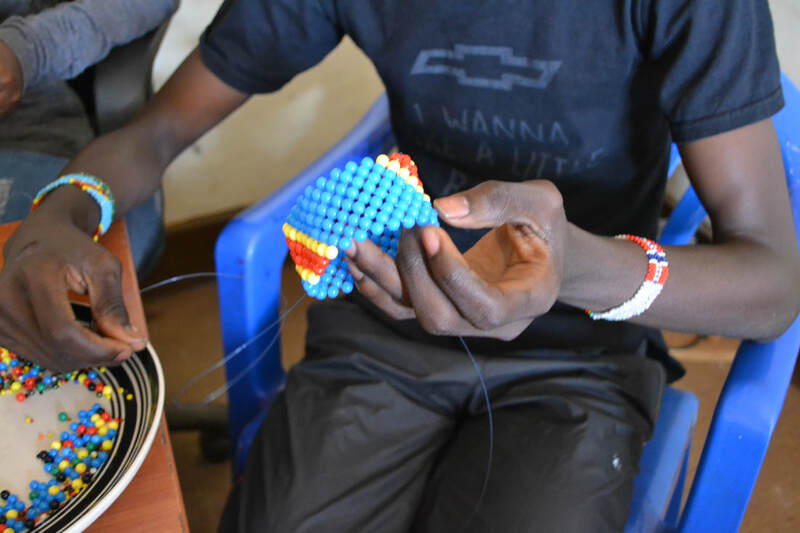 Keiko, at the time a UNHCR Innovation Fellow, was working exclusively with youth within displaced communities, teaching and mentoring many on a variety of solutions-based design processes. Programs based on these frameworks emphasize community engagement and collective learning, and guide participants through a series of activities as they address a particular challenge. They begin by observing existing conditions, then brainstorming and conceptualizing solutions followed by developing and implementing them. Feedback loops are continuous, re-enforcing a prototyping approach to problem solving. While this bottom-up, iterative engagement process is often the norm in community development circles, it is unusual in the context of the humanitarian aid effort. OneYouth One Heart founders in deep discussion. Photo credit: Nora Bouhaddada. 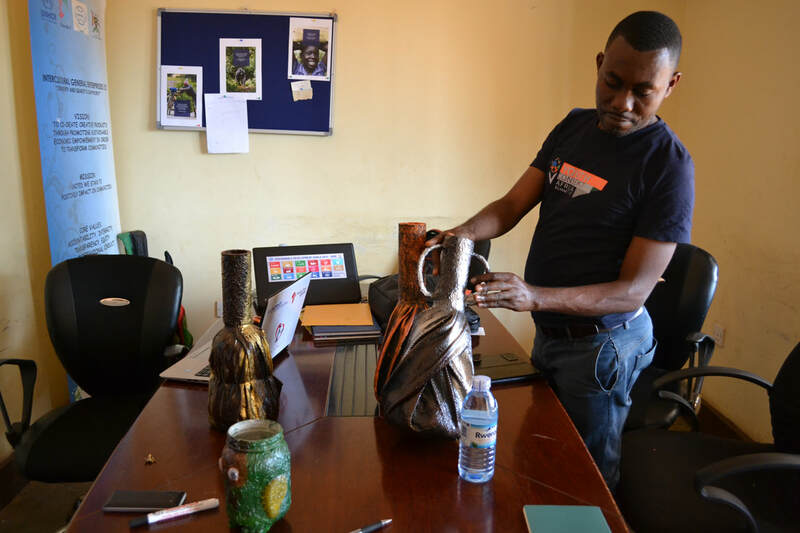 UNHCR’s Innovation unit promotes frameworks that encourage refugees to co-create solutions that work for them; allowing them to eventually own and manage what they’ve designed. OneYouth OneHeart is a promising example of what happens when refugees have the opportunity to build projects together following their own vision. Destin, Liz, Jerry, Isaac, and Lennon were so inspired by the design frameworks that they made it their mission to pass on this knowledge to younger generations through OneYouth OneHeart. In 2016, they created the School Innovation Challenge, focusing their efforts on refugee youth who were financially struggling in settlements. The proposed challenge—“How might we students come up with sustainable income generating activities/projects in schools to solve some of the financial issues of our fellow students?”—was accepted by five schools: Naikvale Secondary School, Rwamurunga Secondary School, Bujubuli Vocation Secondary School, Rwamwanja Secondary School, and Vocation Training Center. 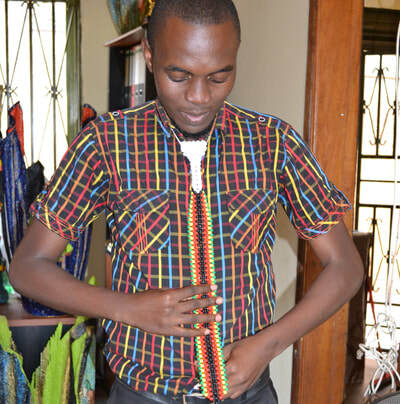 Windletrust Uganda joined OneYouth OneHeart's efforts, acting as a technical and supporting partner. 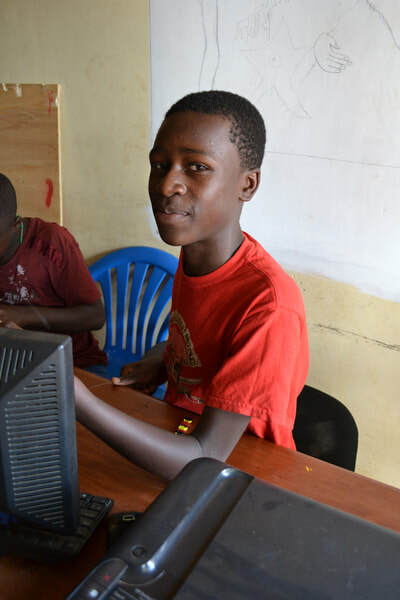 Windletrust Uganda has been instrumental in helping OneYouth OneHeart, build the capacity to empower youth to be co-creators of more resilient, tolerant, and vibrant refugee communities. 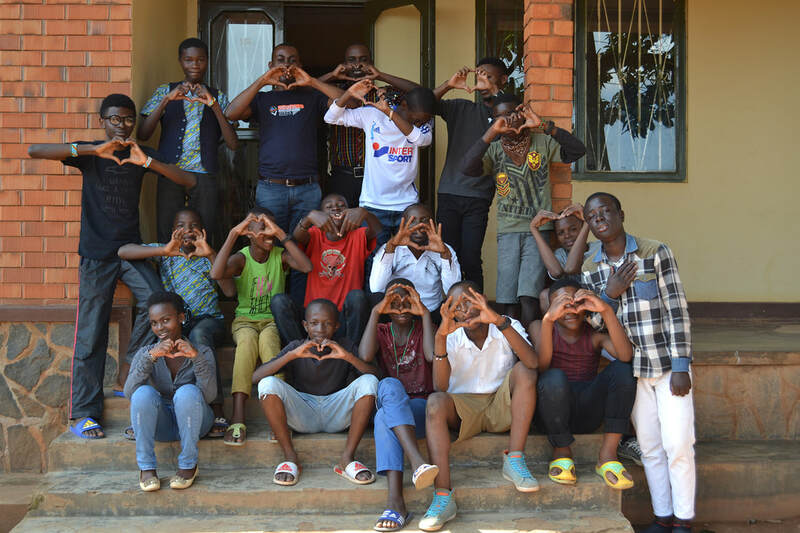 The OneYouth OneHeart founders mentored student club members at each school, activating a diverse range of projects. From a local poultry pen to an organic garden growing legumes and maize – each project began with little funds, but plenty of hope and community support. “The beauty of human-centered design is that you teach people how to use the resources available around them, resources that are within the community,” Jerry explains. Even people are resources." The winner of the challenge was a bakery at Rwamwanja Secondary School, selling breakfast and tea-time favorites, Chapati and Mandazi. The funds raised through the bakery supported 20 youth that year, allowing them to attend school for free. The other schools’ projects collectively supported 35 students, highlighting the challenge’s success. ​The energy that flowed out of this challenge prompted OneYouth OneHeart to create the “Emerging Innovators Forum,” where, to their surprise, over 300 youth came out to pitch their ideas. “There were so much creativity and originality,” recalls Jerry Lukendo Mbokani Mparha. For this initiative, OneYouth OneHeart received a $50,000 grant from UNHCR in 2016. This funding represents the first formal partnership between UNHCR and a grassroots refugee-led organization in Kampala, perhaps signaling the possibility of continuing fruitful collaborations between these organizations in the future. As I stepped into OneYouth OneHeart’s humble space, peels of children’s laughter rose from the courtyard. It was clear that the children felt a sense of warmth and security here. 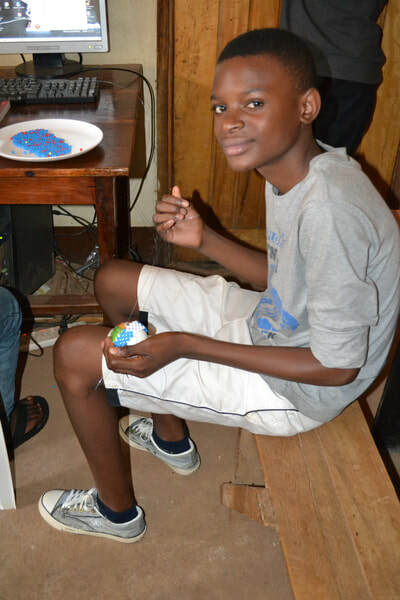 “It is a place for them to escape their daily struggles,” Lennon Musaasizi explains. “They come here and have fun with one another in positive ways. Here, we support and encourage them. 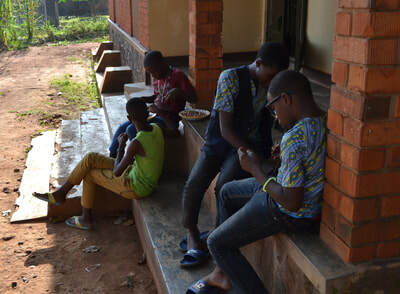 It is a safe space.” Whether it was art or dance, making beaded jewelry, learning a computer program, or playing sports outside—each child was free to do what he or she wanted to do. The OneYouth OneHeart office was filled with unique art objects, including colorful hand-crafted chairs in the visitor waiting area. 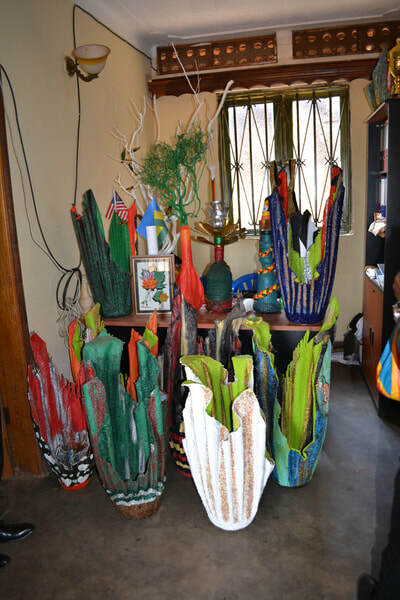 Grabbing a tall vase from the floor and placing it on the table, Destin Nbedo-Rugereza said admiringly, “This is made of recycled materials and fabric. 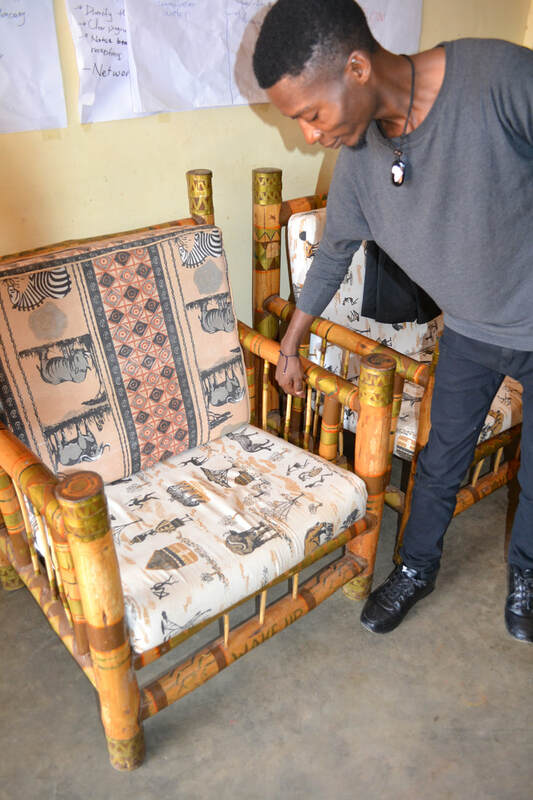 The artist wanted to tackle cleaning up his area, turning garbage into art.” This piece of art and others would soon be available for sale on the U-Spark hub web platform, conceived by Lennnon Musaaszi, built by Jerry Lukendo Mbokani Mparha, and back-end coded by Liz Mirembe Musaka. 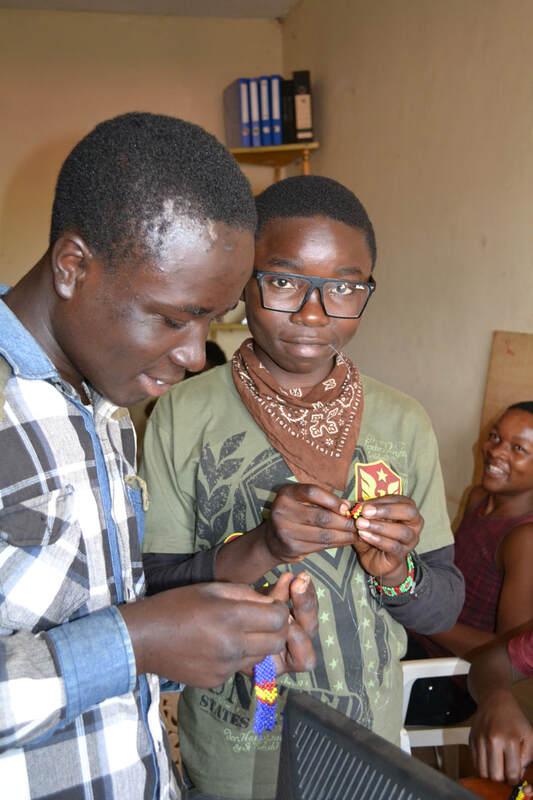 The U-Spark hub hopes to connect youth innovators and entrepreneurs to peer support and mentorship networks. The aim is to build self-organizing and self-empowering learning opportunities for young people. Although refugee youth theoretically have the right to go to school in Uganda, education is not free, so, practically speaking, most I met were unable to attend. For many families, putting food on the table or keeping a roof over their heads must take priority over education. Sales from youth artwork on the U-Spark site, it is hoped, will help defray the costs of education for some young refugee artists. U-Spark plans to extend its network beyond Kampala, and, one day, beyond Uganda. OneYouth OneHeart also hopes to launch a mobile app platform, enabling refugees to gain better access to information both in settlements and in the urban area. The goal of OneYouth OneHeart’s newest initiative, “Empower Her Innovate Project” is to engage and inspire refugee women to play a more active role as change-makers in their communities. Working in the Adjumani and Nakivale settlements in collaborations with NGOs like Nsamizi, the project seeks to create climate resilient communities. Training in cutting edge agriculture practices like agroforestry have been introduced, with the hope that these skills will prepare communities to better address the inevitability of increasing droughts and severe weather. “By growing diverse fruit trees and other multipurpose trees, the community will have more food and climate security. This is our hope,” says Jerry Mbokani. OneYouth OneHeart, like YARID, faces a scarcity of funding. Says Destin Nbedo-Rugereza : “People see us as just youth. They don’t think youth are capable, but the truth is we are discriminated against just because of our age.” Because they represent the majority of the refugee population, he asserts, youth not only deserve a seat at the decision-making table but also to have their innovative work supported. My visit to OneYouth OneHeart confirmed what Destin Nbedo-Rugeresa reports: that when it comes to the daunting challenges they face, young people of the refugee community are the ones most likely to offer up the most creative solutions. Visit their donation page here.